→ Next: Brod Introduces the heART of Science Series at the 2018 CAST Conference in Fort Worth, TX! This anthology is a collection of the early works of international speaker and award-winning poet Brod Bagert. Classic poems from “If Only I Could Fly”, “Let Me Be the Boss”, “The Gooch Machine”, “Chicken Socks”, and “Elephant Games” come to life for a whole new generation of readers. Funny, thoughtful, and thoroughly entertaining! Perfect Children creates the opportunity for parent and child to join in laughter as they grow in a deeper understanding of themselves and each other. 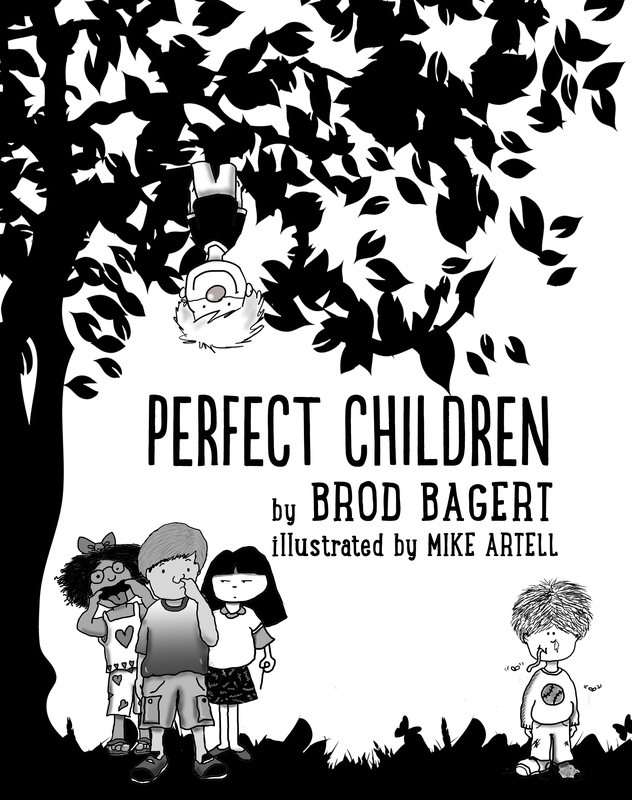 The poems, a rare combination of entertainment and life-lessons, are brought to life in the line drawings of beloved illustrator, author, and rock-musician Mike Artell. Click here to purchase in either paperback or hardcover!